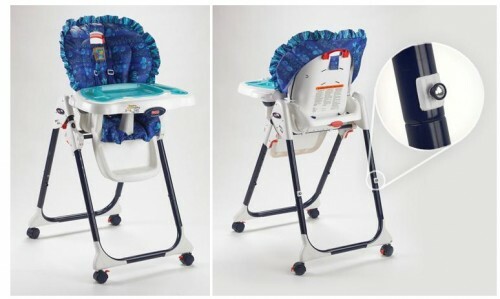 The U.S. Consumer Product Safety Commission and Health Canada, in cooperation with Fisher-Price, today announced a voluntary recall of about 1,075,000 Healthy Care, Easy Clean and Close to Me High Chairs because children can fall on or against the pegs on the rear legs of the high chair resulting in injuries or lacerations. The pegs are used for high chair tray storage. CPSC and Fisher-Price are aware of 14 reports of incidents, including seven reports of children requiring stitches and one tooth injury. 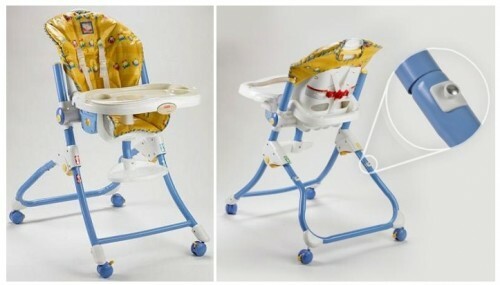 One of these incidents was reported in Canada.This recall involves the Healthy Care, Easy Clean and Close to Me High Chairs with pegs on the back legs intended for tray storage. 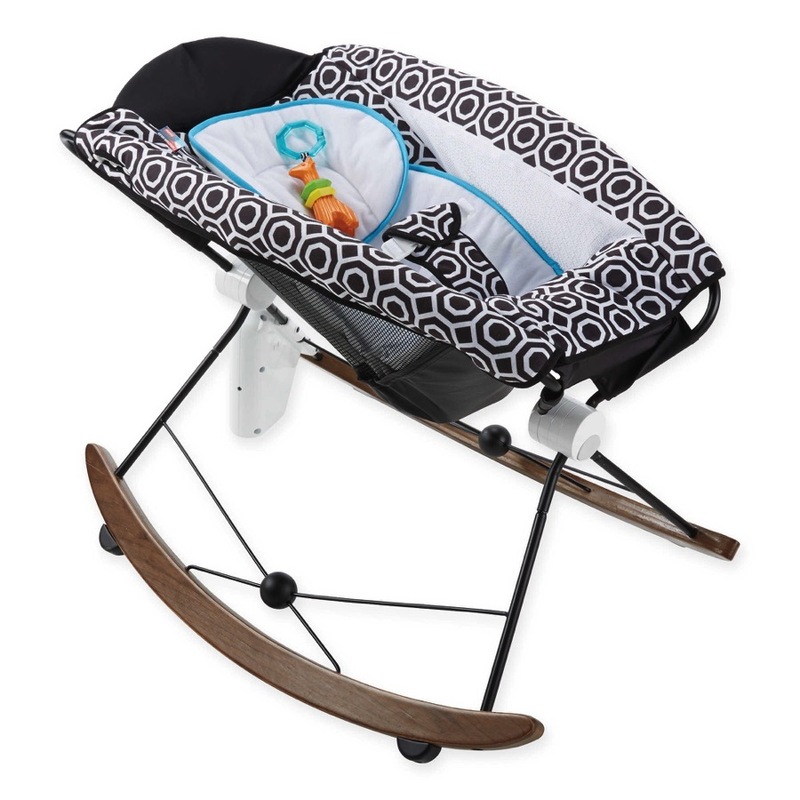 The high chairs have a folding frame for storage and a three-position reclining seat. The model number and date code of the high chair is on the back of the seat. 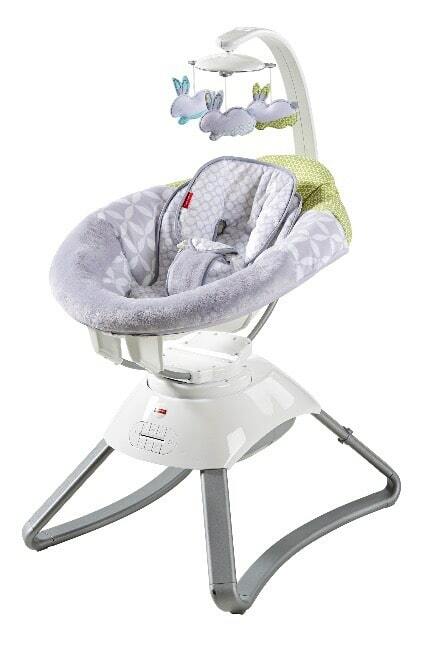 All Easy Clean and Close To Me High Chairs are included in this recall. 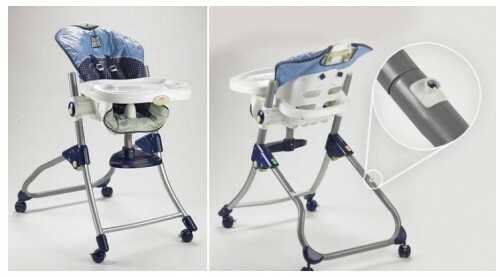 Only Healthy Care High Chairs manufactured before December 2006 are included in the recall. If the fourth digit in the date code is 6 or less, the Healthy Care High Chair is included in the recall. Consumers should stop using the High Chair immediately and contact Fisher-Price at (800) 432-5437 between 9 a.m. and 6 p.m. ET Monday through Friday or visit the firm’s website at www.service.mattel.com for instructions and a free repair kit.